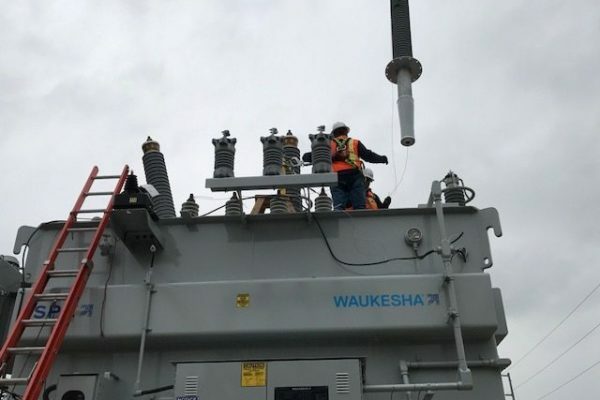 Power Transformer Repairs | SPX Transformer Solutions, Inc.
Waukesha® Service has the information, equipment, suppliers, experienced personnel and know-how to perform a long list of repairs on almost any manufacturer’s transformer. With a vast library of historical information on many brands of transformers besides our own, including but not limited to RTE-ASEA, ASEA Electric, ABB Electric, Magnetek, Federal Pacific, North American, Hevi-Duty and General Signal, we are properly equipped to move forward quickly with virtually any transformer repair job — from radiator, cooler, bushing and gauge replacement to oil and nitrogen leak repairs and almost everything in between! Combining technical expertise with high quality suppliers, Waukesha® Service provides replacement radiator and/or cooler packages ready to install. Installation packages can include everything—installation drawings, radiators/coolers, pumps, piping, gaskets and hardware—or any combination of these items. In addition to supplying the parts, our Service Team can field install the equipment for a seamless, hassle-free experience. Specifications and/or drawings need to be supplied by the customer, or an SPX Transformer Solutions technician/engineer can make a site visit to acquire any necessary dimensions and information. Waukesha® Service works with SPX Transformer Solutions’ bushing suppliers to acquire a direct replacement bushing or determine an acceptable replacement for bushings that are obsolete and no longer manufactured; modifications to leads and/or connections to accommodate dimensional differences would be identified and adapter leads and/or connections can be made during installation. Complete installation service can include oil handling, lead modification (if necessary), vacuum fill (if required) and testing. Customer provided information on the bushing requiring replacement is utilized, or an SPX Transformer Solutions’ technician/engineer can make a site visit to acquire any needed dimensions and equipment information. In addition to replacing existing gauges, Waukesha® Service can add gauges to transformers originally supplied without gauges. Scope of work can include supplying new or replacement gauges, mounting gauges on tank, running line for temperature probe, modifying tank to add probe well, wiring from control box to gauges, calibrating the equipment and verifying operation. Oil and nitrogen leaks are a nagging problem found on many power transformers. Due to extreme operating and environmental conditions, leaks do occur at gaskets, fittings, welds and points of physical damage. Most leaks are repairable, and Waukesha® Service has the ability to find leaks and make those repairs. 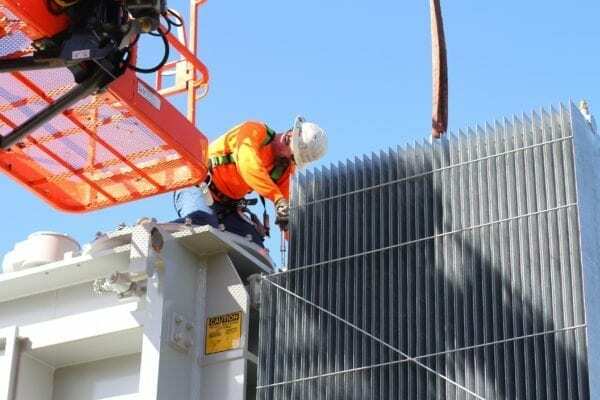 Some of our resources include experienced personnel; equipment necessary to handle, store oil and vacuum-fill; certified, experienced welders and specialized processes/procedures to remedy all kinds of transformer leaks. For more information on transformer regasketing, visit this page. In addition to repairs, SPX Transformer Solutions has the equipment, experience and capabilities to complete other service work you may elect to perform while your transformer is being repaired, such as condition assessments, insulation dryouts, bushing replacements, LTC repairs/upgrades, natural ester retrofill, etc. ; combining services can minimize costs and transformer downtime.